Rome, AD 69. 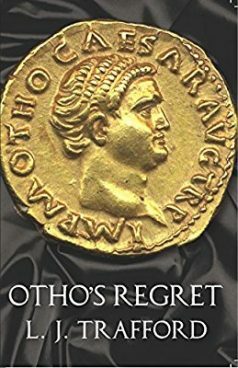 Having spectacularly grabbed the imperial throne by way of a very bloody coup, new emperor Otho is horrified to discover another emperor already declared. Aulus Vitellius is relaxing in Germania, and his two generals, the twisted Valens and the handsome but dim Caecina, are marching colossal armies to Rome to claim his prize. Hopelessly outnumbered, all looks doomed for Otho, until a series of unexpected victories bring hope.